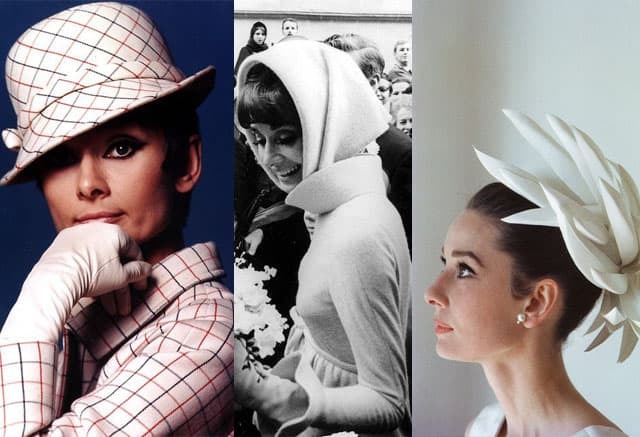 May 4, the world celebrated the birthday of Audrey Hepburn, this epitome of style and elegance, the woman who became a symbol of the era of the sixties and is still considered the standard of good taste. 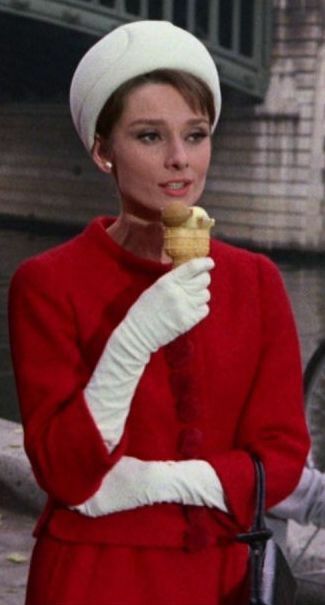 Subtle features Audrey inherited from aristocratic parents – her mother was a baroness, his father – politician. The fact that nature has given, superimposed training: Audrey studied ballet, went to the conservatory, and finally found myself in the film, became, without exaggeration, one of the greatest actresses of the twentieth century. Its assets are not so many films (only thirty), but what are the movies! «Roman Holiday», «Breakfast at Tiffany’s» «My Fair Lady» – almost every picture, which played Audrey, became a classic of world cinema. 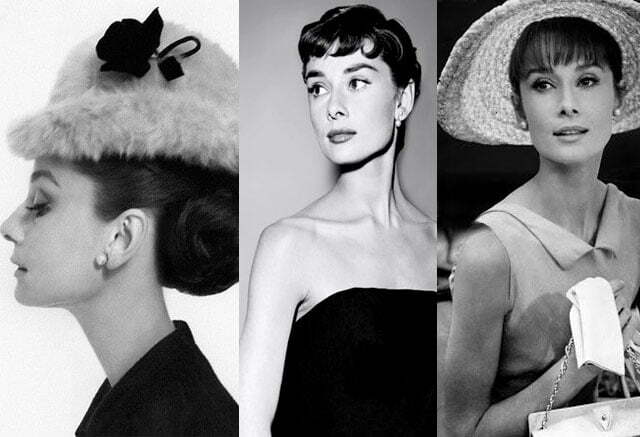 Her film work marked by two «Oscar», but you can not underestimate the influence of Audrey Hepburn and the fashion industry. 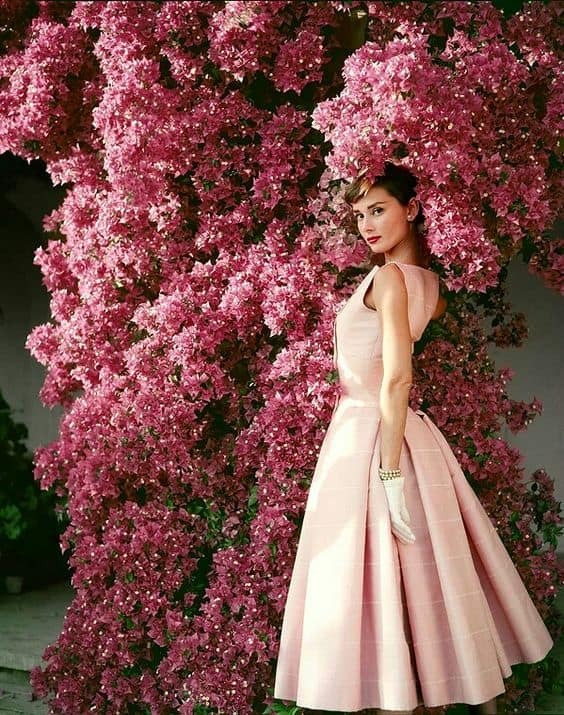 Crucial meeting Audrey Hepburn and Hubert de Givenchy was in the film «Sabrina » – fashion designer has created costumes for this picture, but after the shooting could not let go of Audrey, continuing to sew beautiful dresses and even dedicating her fragrance L’Interdit. For Sabrina’s suit Givenchy, by the way, received the «Oscar». On this side – she was very lucky, what woman does not dream of a personal designer who will sew exclusive clothes on a figure. 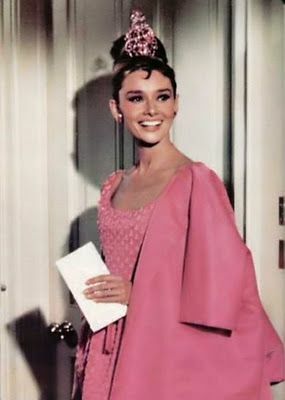 Audrey Hepburn used to say: «The beauty of a woman is not in the clothes, shape or hairstyle. It is — in the glare of the eye. After all, the eye – is the gateway to the heart, where love lives. «But we all know that not only does shine in the eyes of Audrey Hepburn who she was. 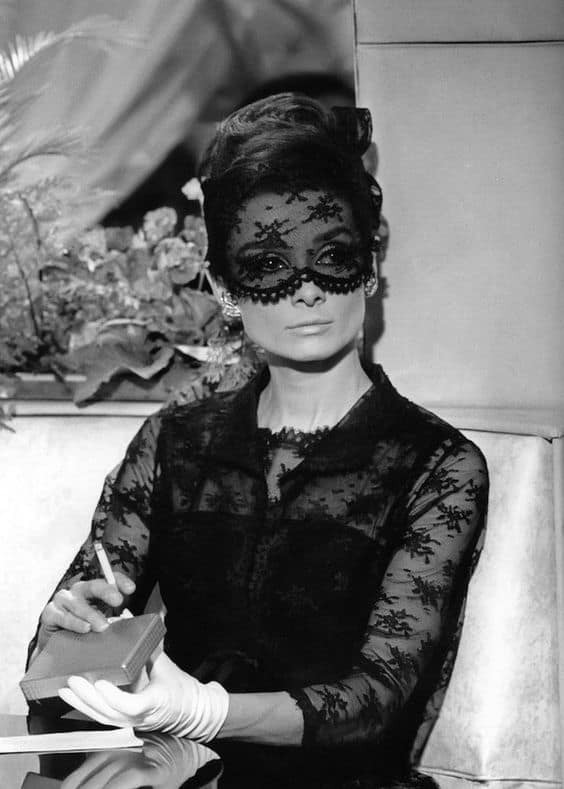 These iconic components of her style as the huge sunglasses covering half her face, trapeze jackets, pearl strand, ballet shoes, black dress, sleeveless sheath , but also with black gloves, a long cigarette holder, in the end! we have also done a lot of work in terms of image recognition. 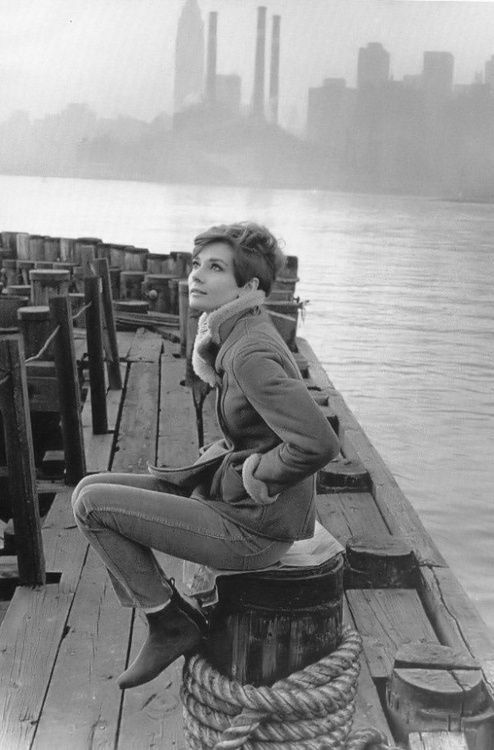 Hepburn was not trying to increase any of his slender figure with the help of clothes, this circumstance makes the world pass from the carnal to the spiritual world, and this adds to her elegance and gentility. Simple cut dress and attention to detail — gloves, belts, necklaces and earrings. Hairstyle Audrey – a lightweight fleece top and raised hair, bangs released. Make discreet, but a mandatory attribute was thin black arrow on the eyes. 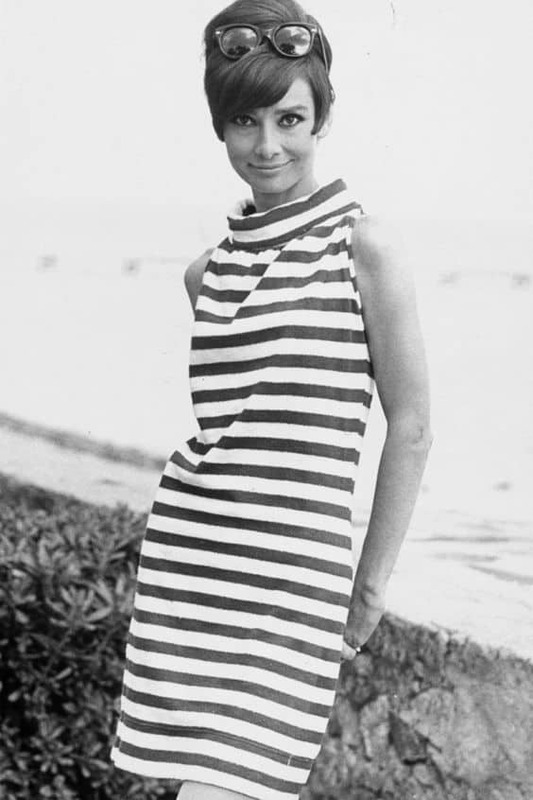 At one time, Audrey loved to do a ponytail, but even this simple hairstyle looked at it carefully and elegantly. And of course do not forget the eyebrows – Miss Hepburn by nature beautiful long and wide «sable» eyebrows. To accentuate their shape it is often stained dark eyebrow pencil. This method draws additional attention to the eye area and helps them to shine even brighter. 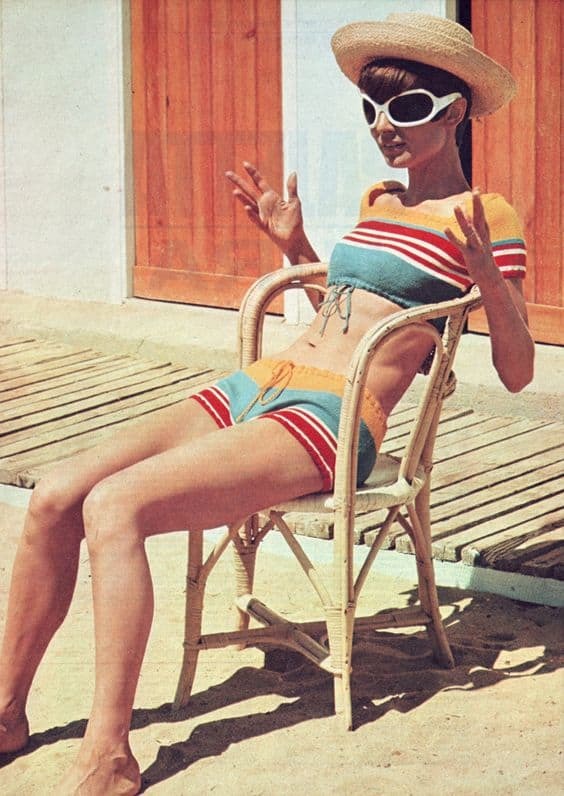 Audrey Hepburn was, as they say, boyish figure – a small chest and narrow hips. But an innate sense of style has helped not hesitate parameters such figures, but on the contrary, to turn himself given the benefit. 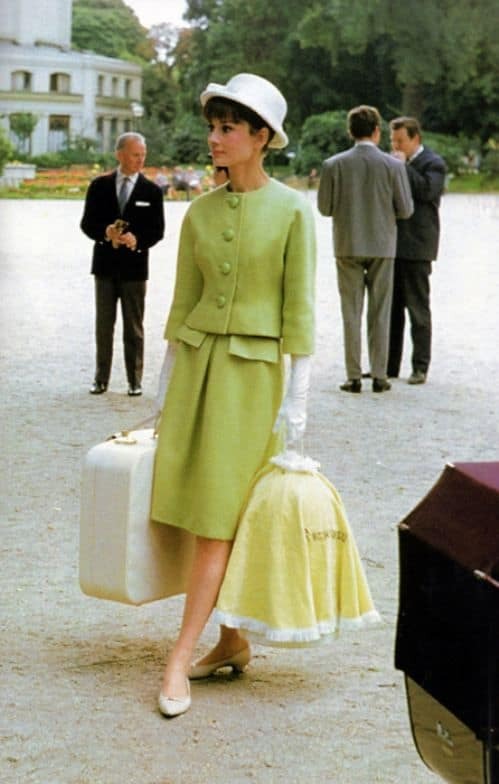 When all wore skirts – Audrey wore short pants with ballet flats and eventually began to repeat all of it! She also liked the black turtleneck – it’s always a win-win situation, and they are suitable for any outfit. Audrey has not neglected such article of clothing like hats. The cap is able to instantly transform a woman, making her elegant or playful. Right bonnet lend style and aristocratic refinement. 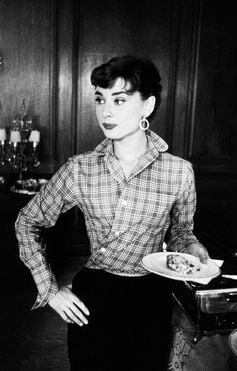 Even Audrey loved wearing handkerchiefs – they made ​​her way romantic and sweet. 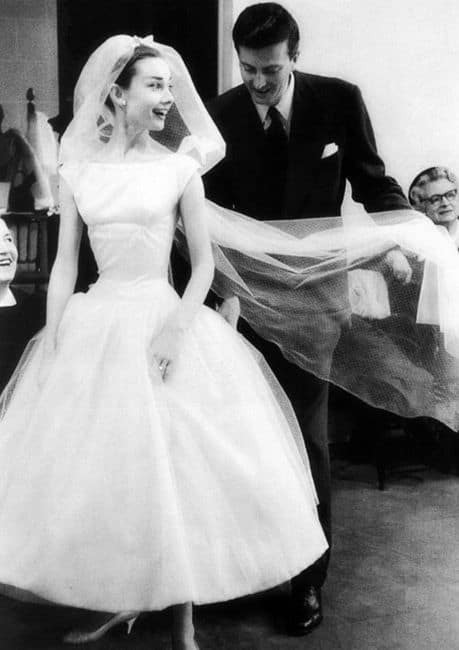 Audry Hepburn in wedding dress. Romantic and cute image.